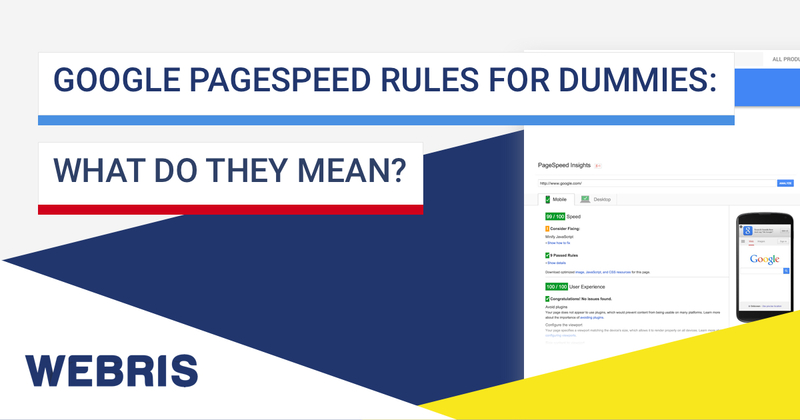 ﻿ Google PageSpeed Rules for Dummies: What Do They Mean?! If your website is slow, you’re losing money. Google has a free tool to identify what’s slowing it down: PageSpeed Insights Tool. The problem is, the recommendations are meant for developers. If you don’t speak code, it’s tough to understand. This infographic breaks down the results of Google’s PageSpeed Insights Tool in plain English. 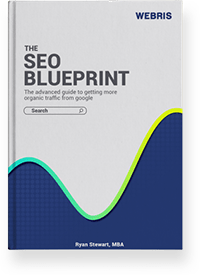 Before we break down the insights, it’s important to talk cover why they matter. Users aren’t the only ones who love a fast website. Google does too. 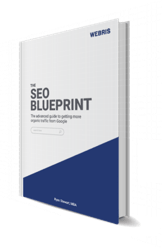 A slow website will undermine all SEO efforts! The tool returns 10 “Speed Rule” and 4 “Usability Rule” suggestions. If you aren’t a web developer, the results are hard to understand. A lack of knowledge will drive up the cost to get them fixed. Web developers are like mechanics – if you approach them with no knowledge of the issues, they’re going to charge you accordingly. Understanding the basics of these issues goes a long way to save your business money getting them fixed. The following are a breakdown of Google’s 10 “Speed Rule” recommendations, explained in plain English. When a user comes to your site, their web browser sends a request to your server to view content. Your server is taking a long time to respond to the web browser’s request. A web browser needs to display a number of items for a user: logo, CSS, images, html, etc. Caching allows a browser to “remember” elements already loaded (i.e. logo, navigation, etc). This allows the page to load much faster. No caching mechanism set up. OK: Remove the call to jQuery from the head of the document and move somewhere else down the page. Good: Change where the call to the jQuery is made (done so in the HTML). CSS (cascading style sheets) is a type of code that dictates style and function of a page (aka makes it look pretty). CSS comes with a price – it requires extra time to download before rendering, thus slowing down page load time. CSS is a web designer’s go to code to make a website look great. Without keeping page speed + SEO in mind, it can easily go overboard and seriously slow down a page’s performance. Minimize amount of CSS your pages use. The tool detected that you have more than 1 redirect pointing at the final URL. A redirect requires additional HTTP requests thus delaying page load time. If your website isn’t built using responsive design, it will trigger unnecessary redirects. 1. Use responsive web design. HTML and CSS files can be “compressed” allowing your web server to deliver faster requests to users. Uncompressed web files. Compressing your files with Gzip can save anywhere fro 50 – 90% of file size, thus delivering much faster page load times. Adding some code to your .htaccess file on your web host or server. There are a number of online tools that will reformat and minify your coding for you. Simply do a Google search for “minify CSS tool” and you will get the tools needed. Take the reformatted code and plug in back into your page. You images are huge and slowing down the load time trying to display them. Most website owners don’t realize what goes on behind an image. Images account for most of the bytes downloaded on a page. 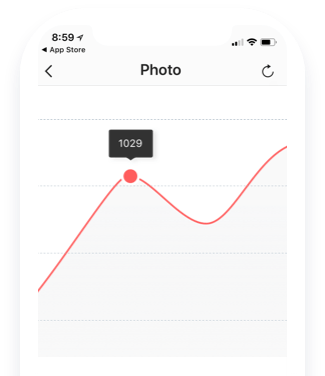 Failure to compress and optimize images before uploading to your site will skyrocket load times. Additional network trips are required to display content located “above the fold” of your page. When your page’s code isn’t structured properly it can render resources “below the fold” first, thus creating a lag for content on top of the page. This makes the page load appear slower to a user. 1. Code your page in order of most important aspects to least important. For example, a blog page has main content + sidebar. In your HTML, code content ahead of sidebar, as the content should render before the sidebar does. 2. Reduce amount of data used by resources. When code is executed synchronously, the browser waits until it is completed before moving on. When code is executed asynchronously, the browser can move on to another task before finishing. Improper coding. Asynchronous scripting allows for browsers to continue loading other elements, allowing for a quicker page load time. Ensure you’re using the asynchronous version of your script. Ensuring your site is compliant with Google’s Speed Rules will drive up your load time in other tools as well. Understanding what each of these rules means allows is crucial to fixing the problem. Much like bringing your car to a mechanic, if you understand the issues you can greatly save on the cost to fix!